Slightly Impressive has released a new video that manages to squarely hit the nostalgia button — well, for me anyway. #DearMe: A Letter to my Noob Self is exactly what it sounds like, a letter to that player in the past who was wide eyed with the excitement of playing a new game whilst being simultaneously utterly clueless on how to actually play it. Several of the points hit home with me, but especially the remark about hitting /2 before replying to anything in trade chat. I don’t recall exactly how long it took to figure out how to reply to people that were talking to me, much less the channels, except that it was slightly too long for comfort. I do find myself wishing that he’d gone back to the old models for the shots of his “old” self, just because it would have pushed the contrast that much further, but it’s really the only minor critique I have. The script is funny, and the ending is slightly unexpected, but perfectly warranted. 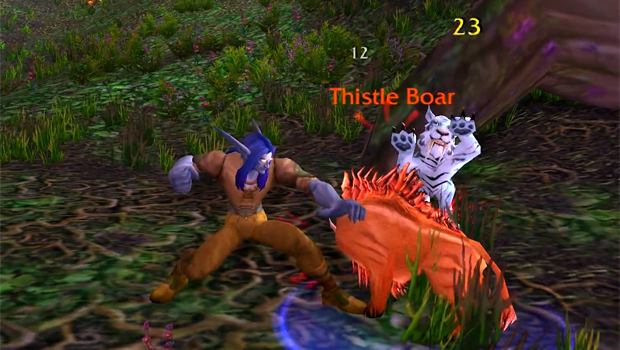 I think if I gave my old self any advice at all, it would be a map to the flight masters in Moonglade and a warning that that furbolg tunnel is definitely not the place a level 10 learning bear form for the first time should be going. Really, really bad idea. What kind of advice would you guys give? Take a look at the full video below — and as always, if you like what you see, be sure to stop by Slightly Impressive’s Youtube Channel, he’s got plenty more videos where this one comes from.